Kyle and Sharon Krause plan to create the next pieces of commercial art alongside the Pappajohn Sculpture Park. The Kum & Go owners have plans for four properties along the park. Their project, called Locust Plaza, includes restoring 1420 and 1430 Locust St., buildings that once housed dealerships in Des Moines’ downtown auto row. Todd Millang at CBRE Hubbell Commercial has started shopping the space to restaurants, retail business and office tenants. Kyle Krause said he and his wife are lovers of art and supporters of downtown’s renaissance. “We want to do something that leverages what John and Mary (Pappajohn) have done” when the philanthropists donated the sculptures to the park, he said. The buildings are among the final pieces left undeveloped around the sculpture park and the Western Gateway Park area. The parks have created a boom in the last year in the southwest part of downtown, where developers have turned old warehouses into apartments, restaurants and offices. The Krauses paid $2 million for the properties and expect to spend about $6 million redeveloping the structures, built in the early 1920s. They are applying for state and federal historic tax credits to help finance the project. Kyle Krause sees restoring the buildings as a “societal good,” even if the financial return may be subpar. “I don’t deem it my best investment ever,” Krause said. “It would be far easier to tear down” the buildings. The two-story buildings at 1420 and 1430 Locust were designed by the legendary architecture firm of Proudfoot, Bird and Rawson, which designed many of Des Moines’ historic buildings. Now vacant, the structures have most recently housed a printing shop, McLellan Marketing Group and a dance studio. But in their heyday they contained a series of auto dealerships, using the oversized windows to display Appersons, Fords, Chevrolets and other brands. Motor oil has stained the wooden floors upstairs at 1420 Locust. The property between the buildings that houses a parking lot was once the site of the Still College of Osteopathy, which became Des Moines University. Remains of the building are buried beneath the parking lot, which is now sagging. Chad Rasmussen, real estate manager for Kum & Go, said the project includes excavating the site and rebuilding the parking lot. The Krauses also plan to put green space and seating in the front portion of the lot. They are also in the process of buying 1431 Walnut St., a radiator shop south of the Locust buildings. They plan to demolish the building and use the site for parking. What the Krauses have no plans to do: Put an Amici Espresso, their company’s coffee shop, or fast-food eateries (like the Subway sandwich shop on the other side of the park) in the buildings. “We’d like nice, local restaurants,” he said. Another Pappajohn impact: The Western Gateway Park is also home to the John and Mary Pappajohn Education Center, which offers classes for the University of Iowa Executive MBA program. So what? So the Economist magazine ranked the Tippie program as the 29th-best executive MBA program in the U.S., and 60th-best in the world, this month. The Kellogg School of Management at Northwestern University near Chicago had four executive MBA programs ranked in the Economist’s top 10. Local champion: Less than two years old, the five-year Capital Crossroads plan is earning national props. The Alliance for Regional Stewardship, an affiliate of the organization of the American Chamber of Commerce Executives, gave the economic development group its 2013 Organizational Champion Award for the partnership’s massive initiative to transform central Iowa. Capital Crossroads, with up to 500 volunteers, is focused on building a strong, innovative regional economy and engaging communities that have opportunities for all residents. Jay Byers, the partnership’s CEO, accepted the award at a Chamber of Commerce Executives convention this month in Oklahoma City, Okla. 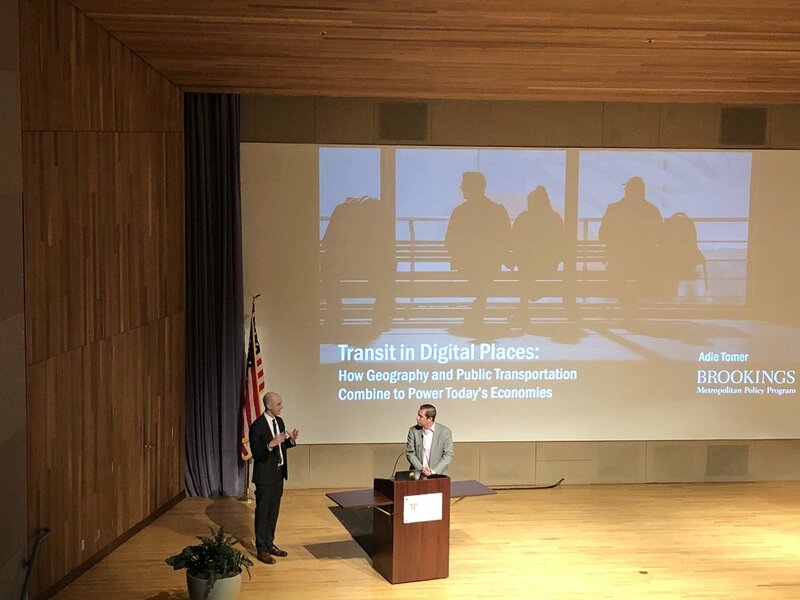 The partnership cited its partners: Bravo Greater Des Moines, Community Foundation of Greater Des Moines, Des Moines Area MPO, Iowa State University, Prairie Meadows and United Way of Central Iowa. Birthdays: Today’s birthdays include Susan Voss, former Iowa insurance commissioner, who’s 58, and state climatologist Harry Hillaker Jr., 57. Venture capitalist and philanthropist John Pappajohn will be 85 Wednesday. Nick Van Patten, president of Aluminum Distributors Inc., will be 50 Thursday.Saturday’s birthdays include Amy Jennings, executive director of the Greater Des Moines Leadership Institute, who will be 37; PR strategistJamie Buelt, 53; Iowa’s AARP director, Kent Sovern, 65; and former Des Moines Mayor Richard Olson, 84.